Rather than a parenting guidebook, this is a reverse angle look at family dynamics. In the 21st Century, how do parents fare when it comes to raising their children? 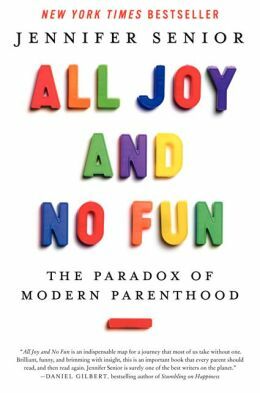 There’s no lack of books about parenting; therefore, perhaps this is intended to reach an audience of potential (or disgruntled) parents. Author Jennifer Senior has completed a six-part look at being a parent. She discusses what sacrifices are made, why parents are so frustrated and sleep deprived. Clearly, this is not a humorous book! Ms. Senior gets right down to the basics of parenthood from her jaded viewpoint. She takes a harsh look at what is happening to well-meaning adults in the middle class – her target population – when a bundle of joy joins a couple. The chapter on marriage is bogged down with statistics concerning the division of housework and parenting duties. Senior’s blunt in her assessment that mothers are wallowing in resentment because fathers are not doing their fair share. This reviewer is a proud mom and the grandmother of an adorable three-year-old granddaughter. Parenthood was not an easy job for me and yet, the outcome was worth every effort and frustration. Some readers of All Joy and No Fun might consider this a “scared straight” preview for expectant mothers and couples. Others may stop before finishing as I did. There’s no joy in a Crabby Appleton view of children – our greatest resource and investment in the future. It is very easy to be drawn into this little story with a big message. The narrator, Lucy Bloom, could be any single mom you know. She cares deeply about her teenage son who has become a drug user. As is her pattern in life, Lucy springs to action a little too late. She sells her house to pay for his drug rehab stay in Florida. Lucy, who wrote a book about organizing (Things Are Not People), happens to be out of work. In a move to keep herself fed, she takes on the job of clearing the home of a hoarder. The hoarder is approaching her 65th birthday and wants to put her home in order before the birthdate arrives. Lucy has about eight weeks to accomplish the daunting task. Both Lucy and the hoarder are mothers who have vastly differing views of life. Each has a son and the sons seem to be similar in their self-centeredness. 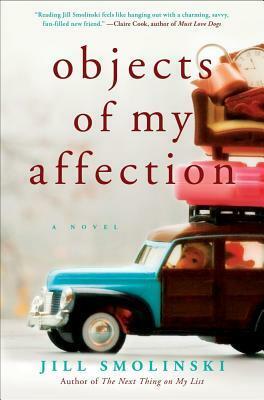 While this novel is poignant from the perspective of each of the main characters, it also carries the message that being a mother does not mean losing yourself. This reviewer found the message encouraging for parents. It seems to say that realizing you own role in life as well as those around you is very important for each of us. Author Jill Smolinski’s narrator, Lucy Bloom, is best summed up as self-effacing, yet not a total loser. Lucy’s newly-found skills learned the hard way while clearing out the jam-packed house, include the value of recognizing true friendship and going after what matters most to her. There is enough drama and suspense to keep the reader engaged and the dialogue is snappy without becoming a parody of the sensitive characters that populate this tale. A review copy was provided by the publisher. “Simultaneously breezy yet thought provoking, this is a fun read that stays with you.” Sarah Pekkanen, author of These Girls and The Opposite of Me. There are books that you read, and put down because they are not what you expected. This is a book that you will read and occasionally put down for another reason – in order not to finish it too quickly. It is a book to savor and embrace, whether you are female or male. The original group of 11 girls – Karla, Kelly, Marilyn, Jane, Jenny, Karen, Cathy, Angela, Sally, Diana and Sheila – grew up in the relatively small community of Ames, Iowa; a place where they were literally surrounded by corn fields. The corn there grows so high that it can hide cars. This is a telling of the lives of this group (a real-life version of the story told in the novel The Group) and their lives are touched with successes, tragedy, divorce, illness and death. The outgoing Sheila was to die in her twenties under strange circumstances that have never fully been resolved. In addition, the children of the group members have been affected by serious illness and two members of the remaining group have battled breast cancer. On the flip side, a member of the group first became a mother at the age of 45. The one aspect of the book that may be slightly troubling is that males, particularly husbands and fathers, tend to come off as pale by comparison. The men in the lives of these women are depicted as not being highly communicative, especially among other men (that is not how they get their needs met), and yet, they are generally well-loved. At one point the women of the group are asked to rate their husbands/partners, and the average score came out to 8.2 on a 10-point scale. All in all, a very good score! One man was asked to consider reading this book and he declined sending this message via e-mail: “Unfortunately, I do not have plans to read the book, but please convey to the girls from Ames that I think they are pretty hot.” That was from Tom (60 years old) in Ohio. The girls from Ames are now mothers and female role models in their own communities. But most of all they remain the best of friends. They are friends, survivors and a mutual support network. They have all been battered a bit by life and, except for the still greatly missed Sheila, they have made it through. This would be a great selection for almost any book club, even one that includes a male or two. 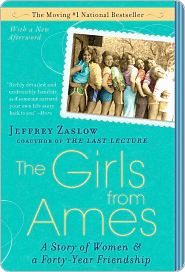 The very best news is that the story of the women from Ames will continue. The 13 daughters of the 10 women are extremely good friends. Bravo! 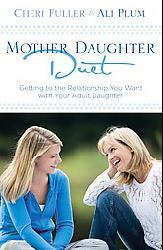 Cheri Fuller and Ali Plum are ideally suited to offer advice about the always-complex mother-daughter relationship. Each of these women has experienced her own challenges in life, among them alcoholism and marital discord. 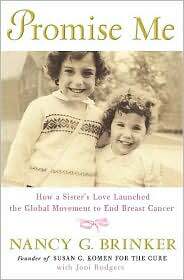 As mother (Cheri) and daughter (Ali), they provide the voices for the book’s chapters that address key events in a mother-daughter relationship such as leaving home, weddings and the birth of grandchildren. Their voices are first heard as solos and then as a duet. The reader is advised on what works and what does not when specific issues are confronted. Cheri and Ali have sought assistance and advice from professional counselors and trusted friends when dealing with their own issues. As would be expected with a Multnomah publication, the book is written with a Christian perspective; hence the scripture citations and references to prayer. Cheri is a well-known author, columnist and speaker on women’s issues. Ali is a songwriter and makes a strong debut in this book as a writer. The take-away from Mother-Daughter Duet is that life holds the promise of closeness with those we care for; however, it requires mindfulness and faith to experience these rewards. Mindfulness and faith are not accomplished once and for all time, rather, they must be practiced each and every day. This review was written by Ruta Arellano. A review copy was provided by Waterbrook Multnomah, a division of Random House.